At one point, Pence shared his Christian testimony, a life changing moment that came at a Christian music conference in Wilmore, Kentucky back in 1978 at the end of his freshman year in college. “Forty years ago this spring, I literally walked down and gave my life to Jesus Christ and so I just want you to continue share the gospel, share that life changing message,” he shared. As their website states, the Watchman on the Wall conference, hosted by the Family Research Council has a spiritual mission which is the belief that the problems facing America, “ultimately require a spiritual solution administered by spiritual leadership. That is why we are championing pastors to transform America. The conference was held at the Hyatt Regency Capitol Hill in DC and besides hearing from guest speakers, pastors also receive briefings on ways to mobilize their congregations on the political, cultural and moral issues of the day, along with tours that detail America’s Judeo-Christian heritage. While the vice-president’s message had a spiritual tone, it also had a practical one, focusing on what the Trump administration has accomplished so far. Pence spoke of the record amount of judges President Trump has placed in the judicial branch and his bold decision to move the U.S. embassy to Jerusalem. On the topic of religious liberty, Pence made clear that the Johnson Amendment, which puts certain restrictions on pastors when it comes to political involvement, is being done away with. 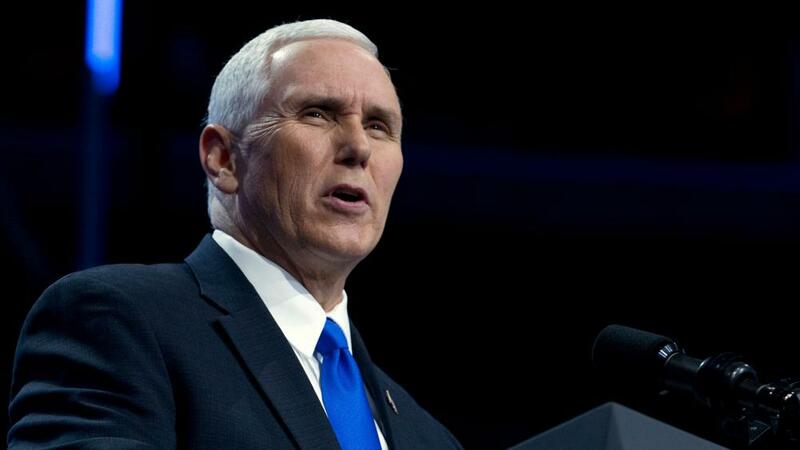 “We are going to fight until we fully repeal the Johnson Amendment from the Internal Revenue Code but it will no longer be enforced under this administration,” Pence says.